All three Nicklaus Design layouts to feature casinos as an amenity were recognized in Golfweek’s 2015 list of the Best Casino Courses. 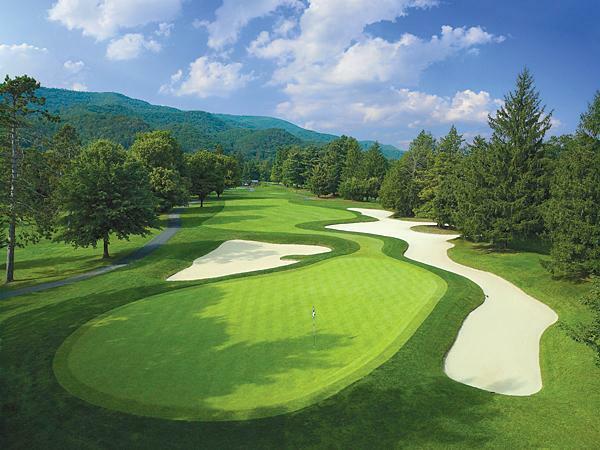 The Greenbrier (White Sulphur Springs, West Virginia) improved 18 spots over its 2014 ranking to No. 27; Rocky Gap Casino Resort (Cumberland, Maryland) improved 12 spots over its 2014 ranking to No. 32; and Grand Bear (Saucier, Mississippi) ranked 34th on the top-50 list. The Greenbrier Course was originally constructed in 1924 by Seth Raynor, and was redesigned by Jack Nicklaus in 1977 in advance of the 1979 Ryder Cup. The 6,675-yard, par-72 course is heavily wooded and features well-bunkered greens that are terraced and put a premium on accuracy and the short game. It is the only resort course in the world to have hosted The Ryder Cup and The Solheim Cup (1994). The resort’s 103,000-square-foot casino is filled with world-class gaming. Rocky Gap Casino Resort is the only Jack Nicklaus Signature Golf Course in Maryland. The 7,000-yard mountain course features a front nine carved from mountainous, tree-lined terrain and numerous dramatic elevation changes. The back nine is spread across expansive, gently rolling meadows. Five tee boxes per hole allow all players to adjust the level of challenge to their handicap. The property’s casino features slots, table games, and lottery games, with a full service bar on site. Grand Bear opened for play in 1999, and the following year was named one of Golf Magazine’s Top 10 New Courses You Can Play. The 18-hole, par-72 layout is over 7,200 yards long, with towering pines, natural cypress wetlands, secluded fairways and impeccably manicured greens. Located some 20-30 minutes from Biloxi, the outgoing nine holes skirt the Little Biloxi River. Grand Biloxi’s casino floor has 800 slots and 35 table games.